Yesterday, we talked broadly about caring for the heart of your TCK. If you missed it, you can find it here. 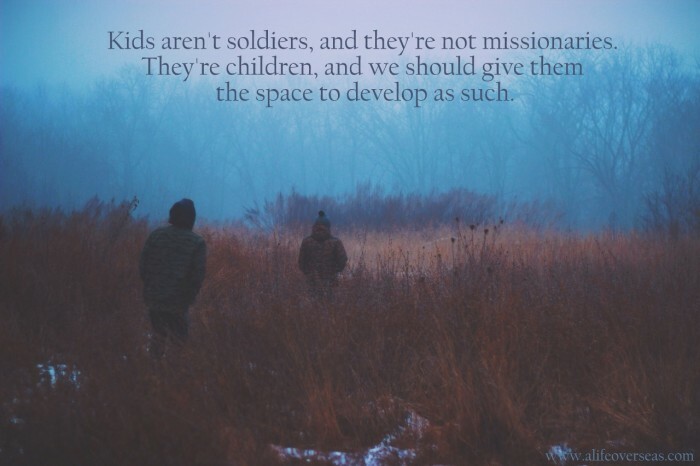 Today, we’re looking at the unique subset of TCKs known as Missionary Kids. I thought I was done with youth ministry. I thought I’d move to Cambodia, be a “real missionary” (whatever that is) and never attend another youth camp or weekend retreat. I thought I’d never smell “junior high” ever again, or play those stupid messy games created by someone who’s never had clean-up duty. But I’ve never been so happy about being so wrong, because the missionary kids with whom I’ve had the privilege of interfacing over the past few years have encouraged and challenged and taught me so much. They’ve also broken my heart. As I’ve seen them say goodbye to home. Again. As I’ve heard them describe the pain of being misunderstood. As I’ve watched them hug good friends whom they know they will most likely never see again. Ever. Read the rest of Jonathan’s post on A Life Overseas.